Wanting to take the plunge into doing your own gel nails? It's easier than you might think…if you have the right supplies. Here are my five must-have products for doing your own gel nails at home. If you're going to use gel or shellac polish, you have to have a lamp to cure it in. The Royal Nails dryer is the one I use. It is one of the best you can get for the price. I love that it's large enough to put both hands or feet in to cut down on curing time. Plus it has five different timers that turn off automatically for fool-proof curing. It also has a fan in case your hands get too warm. If you're looking for a smaller, more basic option, I'd recommend the Salon Edge. My friend owns this dryer and it works great. It doesn't have all the bells and whistles, but it gets the job done. This is a great price for the essentials. Unlike regular polish, you can't skip the base and topcoat. Each layer cures to the one beneath it. This is why gel nails last so long. The purpose of the ph Bond is to dry out the nail to prepare it for the base coat. A manicure is no fun without a little color. Gossip Girl by Harmony is my go-to pink. Bright enough to get noticed but not crazy neon. It's definitely a color you can wear year-round. 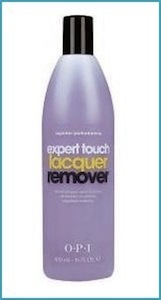 A good polish remover is key to removing gel polish without completely drying out your nails. It's the remover that damages nails, not polish, and OPI's Expert Touch removes the polish in a shorter time than others I've used. Since gel polish is cured in layers, some may still stick to the nail even after using remover. The flat side of MASH's reusable manicure sticks can lightly scrape off any polish that remains. There ya go! These are the supplies I've personally tested and use. I was not compensated by any of these companies, I honestly like them.